View More In Pedestal Tables. 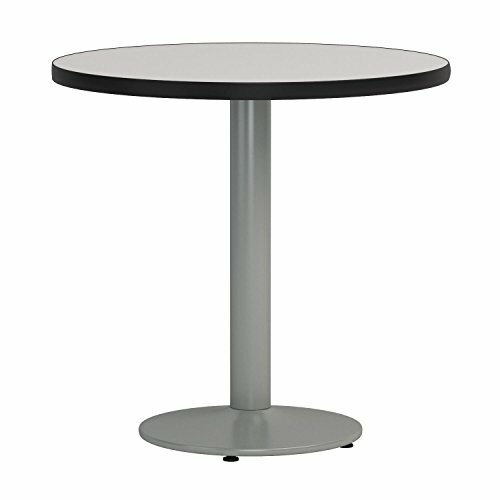 The T30RD is a 30" round pedestal table that is perfect for restaurants, cafes, and break rooms. It has a 1.25" thick high pressure laminate top that's durable and easy to clean. The top has an attractive black T-Mold edge that won't crack or peel and helps protect the table from bumps and dents. The solid cast iron round base is powder-coated in silver and has leveling glides to prevent the table from wobbling on uneven floors. The steel column has a 3" diameter and is made of 16 gauge steel. The table stands 29" tall (standard/counter height). The top and base are all shipped in one box, and the pedestal table is easy to assemble. Made in the USA and GSA approved. Made for Commercial Use. Attractive black T-Mold edge that won't crack or peel and helps protect the table from bumps and dents. 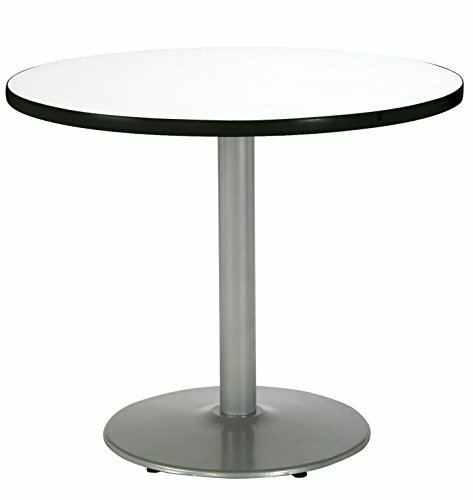 Solid cast iron round base is powder-coated silver to give the table an attractive look. Leveling glides to prevent the table from wobbling on uneven floors. Easy to assemble. Top and base ship in one box. Made for Commercial Use, Made in the USA, and GSA Approved. If you have any questions about this product by KFI Seating, contact us by completing and submitting the form below. If you are looking for a specif part number, please include it with your message.